Following the question "Where am I? ", the PC is discovered in a location called Nowhere, carrying nothing. Narrated in the first person. 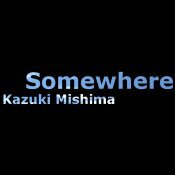 Somewhere (Kazuki Mishima; Jan-2008; Z-code 5).